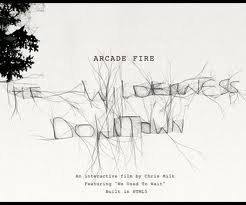 This is the only thing I've seen in awhile that's cool than the ipad, this is a new interactive music video from acclaimed music video director, Chris Milk, that showcases google chrome and YOUR childhood address, all while listening to a track from the great, new Arcade Fire record. The google chrome browser is a free download that is completely customizable and easy to use. Any browser will work for this interactive video but only google chrome supports all the fun tid bits that this video is capable of showing. I have know idea about internet code but it's html5, which is the future of browsing that will replace flash. Here is my video of my old neighborhood when I lived in L.A. and some links to all this rad technology.